Thank you, American Christian Fiction Writers for publishing my post on 2/6/2018 on your national blog! Enjoy! It’s finished. You’ve reread your manuscript, checked for typo’s, and tightened sentences. The next step is as important as getting your story written, and written well: leave it alone. Let it sit idle for at least two weeks. This is what I do. You may have a better alternative, but this works for me. No matter if the deadline to enter it in a contest is next week. Pass up the contest this year. Your book deserves the best presentation to the public than rushing to sell it. In my opinion, the time you did write daily, that’s part of your routine; should be reserved for something related to writing. I suggest you read a book, and continue online writing workshops. I highly recommend joining Jerry Jenkins Writers Guild. I have been a member for two years, and love being able to access workshops in the archives at whatever time day or night I can work it into my schedule. I am the 24/7 caregiver to my mother, and not able to travel to live workshops. Keep in mind; we are never too old to learn. The craft of writing is an ongoing process. That said; I try to read a book the first week my manuscript is sitting idle. At the end of the week, I give a review on Amazon if the book deserves an honest four or five star rating. If not a four or five star, then I contact the author privately. I do not give a horrible review that will remain against her/his writing abilities nationally on Amazon for the rest of her/his life. I believe this is a common courtesy among authors. Second week, I read another book, and give another review. In reading the text silently, our mind includes the word we meant to write. In reading the text out loud, the ‘lost’ words stand out clearly. Reading the text out loud also gives you the opportunity to see words ‘spell check’ does not notice. In writing my first draft, I do not take time to search for mistakes. After letting your manuscript lay idle for two weeks, you suddenly spot if you wrote sense instead of since, etc. In the manuscript I recently finished, I had one word that I finally omitted. I had one character retrieving a duffel bag. Not familiar with duffel bag; I googled it. Two different spellings were displayed; duffel and duffle. Not wanting to use the wrong spelling, and the fact that duffel bags are not commonly used as they were years ago, I changed it to an oversized tote bag. I also check for sentences that I could reword with a better description. Not necessarily longer, but an improved choice of words. I tighten sentences again; removing anything redundant, or unnecessary. Last on my list is checking for any loose ends that need clarification. Upon completion, my word count always changes. I delete a lot, and I add where needed. In my recent manuscript, “Heart of a Neighbor” the word count increased to include five more pages. After this process, I read it out loud again. Satisfied, I sent it off. There is no set time to finish writing a book. I want to encourage all of you to keep learning. I do. Now onto creating the next book! Lynn Hobbs is the author of the Running Forward Series: Sin, Secrets, and Salvation, River Town, and Hidden Creek, and won 1st place Religious Fiction in 2013, 2014 and 2015 by Texas Association of Authors. She is also the author of Lillie, A Motherless Child, which won 1st place Biography 2016, TAA, and the American Neighborhood Series: Eyes of a Neighbor. Visit Lynn on Facebook, Twitter, and her website. Good tips! Lately, I’ve been loving having my computer read my work to me as part of my final run-through. I can do chores as I listen–as long as I’m close enough to hit pause and fix the mistake when I hear a missed or incorrect word. Great blog. We must keep learning, keep reading, and keep writing. Well done! Great idea, Emily Conrad! I will try listening to the computer read it also. Thank you! Thank you, Michael! I appreciate your comments and encouragement! Thank you, James R. Callan, (Jim) for publishing my post on your blog today! Our guest today is Lynn Hobbs. 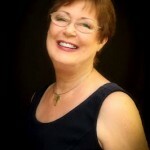 She is an award-winning author of inspirational Christian fiction and biographies. Each book in her first series, Running Forward, a powerful faith and family saga, won first place for Religious fiction in the Texas Association of Authors– book 1 in 2013, book 2 in 2014, and book 3 in 2015. Ever hear the old saying; “bloom where you are planted?” Sometimes it is not possible. Many small towns only offer minimum employment. Opportunities for job advancement are usually found in larger cities. I’ve enjoyed living in both environments with family in both areas, but what about those who can’t move? What is life like for them? If they are in an economically poverty-stricken area, one can only imagine how they are struggling. And what about those that do move? At what cost do they continue? Is there an alternative? Often not. I base my observations on the county where I live in Texas. Statistics prove the majority of public school students qualify for free lunches due to their parent’s income. Locals will recall when an ammunition plant closed here years ago. It was the only employer in our small town. Both men and women from surrounding towns traveled daily to work there. A decision was required to either bring in new industry at that location, or turn it into a Wildlife Refuge Center. A vote was finally taken, and my group lost. We didn’t protest. No one blocked traffic unable to accept the voting outcome. Life continued, and the Wildlife Refuge Center is now well established. Many area wide schools bus their students to the Wildlife Refuge Center for interesting, and informative field trips. They also have hiking trails. Most of the 25-55 year old residents moved to Dallas. I had thought it was hear-say that they left their children with their parents. They couldn’t afford child care. It proved to be accurate. I noticed the younger generation being raised by their grandparents when I later worked for the Texas public school system. I saw it firsthand. I saw how their lives changed, and I saw what it did to families. I did write about it without compromising anyone. I incorporated parts of their experience with other modern family issues in my earlier Running Forward Series. In regard to this particular small town, I must emphasize it is different from most. It doesn’t matter if you are Hispanic, African-American, or Causation; we are all family here. We help each other. We have known each other’s families going back for three generations. Conditions could always improve, but overall, we are progressing. We now have a Family Dollar store that everyone supports. In many ways, it serves as a local gathering point. Yet, I couldn’t help but wonder about the others; the ones who had to move. They didn’t see familiar faces every day. Strangers were a new way of life. Yes, they’d eventually make new friends, and establish new routines, but for many, their way of life would remain unsettled. As a published author, I felt drawn to write about being thrust in a new area, not knowing anyone. Clearly out of your comfort zone, who do you trust? With this in mind, I began writing the American Neighborhood Series. Book one is titled, “Eyes of a Neighbor.” I’m currently writing book two, “Heart of a Neighbor,” to be released later this year, and will conclude with book three, “Mind of a Neighbor” scheduled for publication in 2018. My stories have Christian values, hope, workable resolutions, and yes; I get many ideas from real life situations. Having worked in the public for over thirty years, I have witnessed many situations and heard numerous personal accounts from what others have experienced. I add to part of one, and as a writer, let my imagination soar. “Eyes of a Neighbor” is book one of Lynn Hobbs new Christian Fiction Series, The American Neighborhood Series. The reader can expect to find real life situations that will be surprising. Her stories don’t have profanity or violence, but neither do they follow “cookie cutter” plots. Boy may meet girl and marry girl, but typical, romantic, happy endings are not always guaranteed. In Eyes of a Neighbor, you are introduced to a community with its residents of newcomers, and those who have lived most of their lives in this older, historical section of Houston. 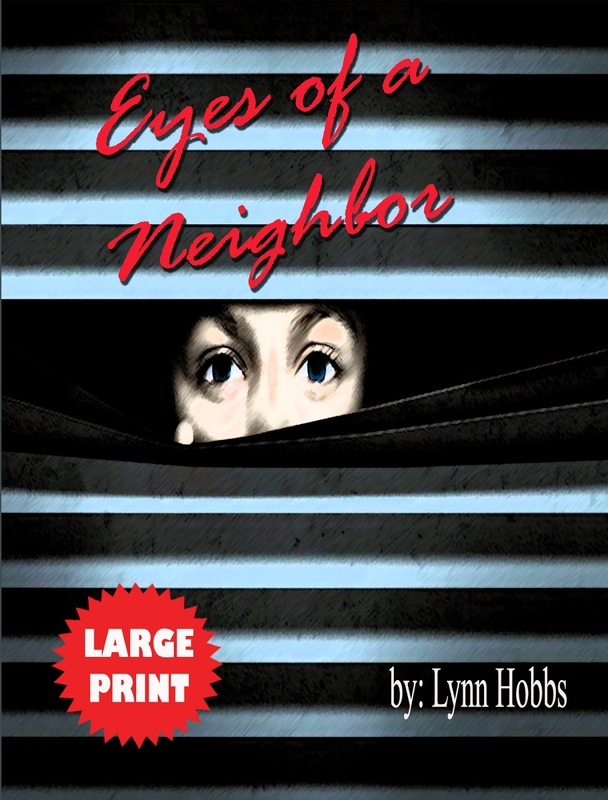 Based on the author’s own knowledge of having once lived in the Heights area, the residents she created include all age groups, and become tangled in a murder mystery. Suspense, intrigue, inspiration, and romance intertwine to create a fast-paced read that is indeed a page-turner. And leave a comment here if you have a moment. Thanks. Thank you, American Christian Fiction Writers for publishing my post titled, Consider Large Print, on their blog today, Sept. 2, 2017. I am honored and humbled! Enjoy the post! One of the first lessons I was taught in years of attending writing workshops was to identify your writing audience; female, male, or both? What age group? What genre? After deciding, it was stressed to continue with your choice. Advantages are obvious. You keep your same readers. You built an e-mail list of those readers to inform them of your progress, your new release, or details of a book signing in their area. Your readers often recommend your books by word of mouth if you keep them informed. True statements, yes, but something is missing. As with anything in life, you cannot lump everyone into the same categories. I point this out because I want you to consider large print for a publishing option. A large print book or short story is not exclusively written for senior citizens, nor is it strictly for male or female, or a certain genre. Did you know the Guideposts magazine and Readers Digest are available in large print? I had received countless requests from church members, community leaders, nursing home residents, and friends who had various eye strain problems to publish my next book in large print. I prayed about it in earnest. I had recently completed a Christian Fiction series in regular print. The Running Forward Series consists of three books and all three won first place awards in Religious Fiction 2013, 2014, and 2015 by the Texas Association of Authors. I gave God the glory, and I felt drawn to write a biography about the life of my mother. She had sixteen siblings, and her own mother passed away when she was seven years old. I wanted others to follow her journey from a motherless child to an inspiring woman of faith. Yes, I did it, my first large print book. “Lillie, A Motherless Child” has large print for the paperback and regular print for Kindle. I still have a lot of feedback from my readers today who enjoy the large print. I am astonished at how well received the book has become. I even won an award on it, 1st place in Biography 2016 by the Texas Association of Authors. Again, I gave God the glory! You cannot please everyone. If someone doesn’t like large print then no large print book will ever be enjoyed by them. I am comfortable with my decision to try large print on this series. Whatever decision you make concerning large print, keep in mind there is a great need for the product. This entry was posted in Advice, Authors and writing, Friends of ACFW, writingand tagged Advice, authors, Friends of ACFW, writing. Bookmark the permalink. 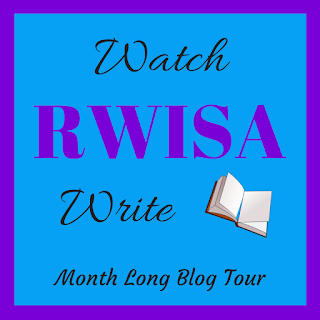 Nonnie Jules, featured today, day 29 on Watch RWISA Write Showcase Tour! Click on her name below (blue link) and also RWISA (purple link) below to learn more about her, and her books! Enjoy!